The owner of a local vape shop is thrilled with a new study by Britain's Royal College of Physicians which says e-cigarettes should be widely promoted to smokers to help them quit tobacco. But the provincial government and the Canadian Cancer Society are not ready to endorse the products. The owner of a local vape shop is thrilled with a new study by Britain's Royal College of Physicians which says e-cigarettes should be widely promoted to smokers to help them quit tobacco. But the provincial government and the Canadian Cancer Society are not ready to endorse the products. The report released Thursday said e-cigarettes are likely to bring benefits for public health and should be widely promoted to smokers to help them quit tobacco. It also said there is no evidence e-cigarettes are a gateway to smoking and do not lead to the normalization of the habit. 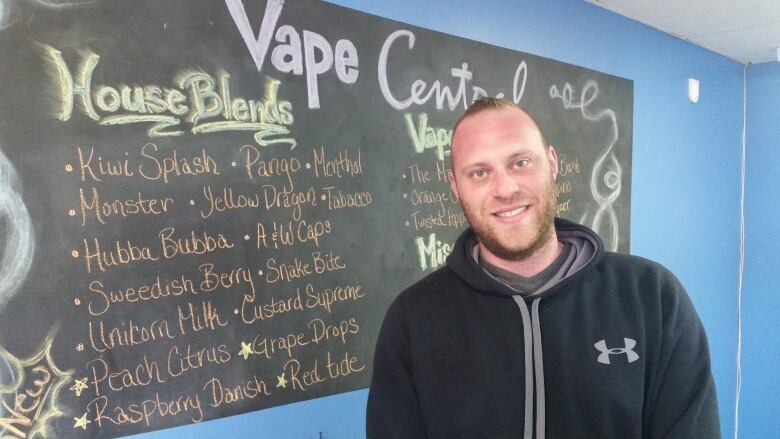 "A lot of my customers surprisingly that come in here are saying they're being sent by health professionals off the record to come in here and try electronic cigarettes so they can to have a better lifestyle, better healthy living lifestyle," said Steve Dow, owner of Vape Central. Another recent study by the Journal of the American Medical Association had a different finding - saying for those aged 16 to 26 the use of e-cigarettes was associated with higher odds of taking up regular smoking. The Canadian Cancer Society on P.E.I. says the latest research from the UK is positive, but the society is not willing to endorse the product until it's federally approved. 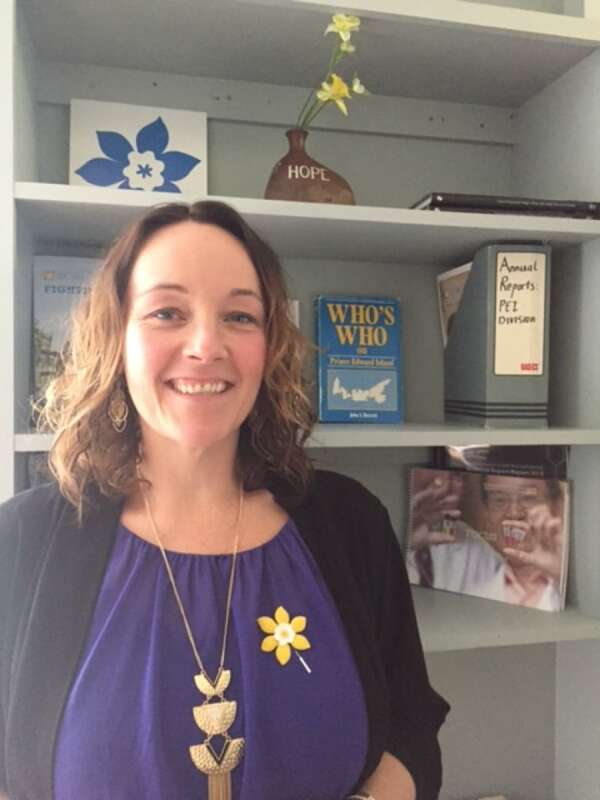 "We wouldn't be behind anything that isn't like heavily evidence based so kind of the jury's still a little bit out," said Marlene Mulligan of the cancer society's P.E.I. division. "It's positive that this could be another tool for folks to be using in the future to help them stop smoking, but at this point we wouldn't be promoting that until we're certain that it's not going to do more harm or have any other unintended consequences that we don't know of today." Electronic smoking devices are under the same provincial restrictions as regular cigarettes. Since Sept. 1, 2015, the provincial government has restricted advertising and visibility of vaping products. Stores are required to place them behind a barrier like tobacco products. People can't use them anywhere tobacco smoking is banned. "It's going to be an ongoing challenge I think to determine the best use and regulation of these products that are currently unregulated, in society," said Dr. David Sabapathy, P.E.I. 's deputy chief public health officer. "So I think one group coming out is just another thing to keep an eye on and I think other groups will continue to take positions on either side." A Health Canada spokesman said the department is committed to moving forward with an evidence-based approach to vaping products and is actively reviewing health and safety data and scientific studies. But it has not approved any e-cigarette with nicotine for sale in Canada. MORE P.E.I. NEWS | Blue Jays founder Don McDougall to take over Mill River resort in P.E.I.